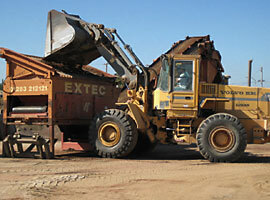 TMT Enterprises, Inc. has been producing and supplying all types of soils for more than four decades. We process our own USDA sandy loam, screened topsoil and sand materials. This capability combined with the wide variety of organics and amendments we keep on hand gives us the ability to produce any sort of soil mix for any application. Whether you need a basic topsoil or a complex lightweight soil for your green-roof, we have the high-quality materials to make your project successful. Our diverse fleet of late-model production equipment and our company owned fleet of 25 Peterbuilt trucks provide the service and dependability our customers require. We have been producing specialty soil mixes for nurseries and commercial landscaping since the 1970's. 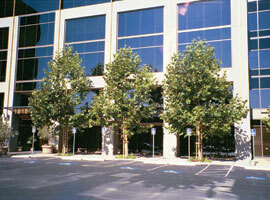 No other company in Northern California can match our levels of experience, expertise and commitment to quality. 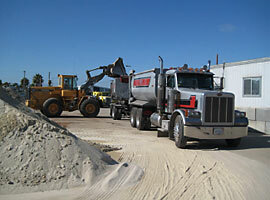 Our entire mixing facility is paved and is swept each time we switch from one mix to another. This assures you of a clean finished product with no cross-contamination with other materials. We are exclusively licensed by Amereq, Inc. to produce Cornell University’s unique, patented structural soil for use in urban tree planting. 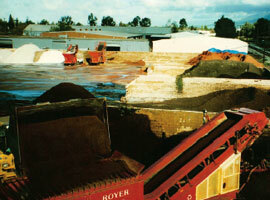 We have been producing CU-Soil® since February of 1999 and have well over 150 successful installations to date. Please check out the Structural Soil page for more details and information.